Eagle Auto Parts is a full service automotive recycler. Offering services to the wholesale customer as well as the retail customer. Eagle Auto Parts was purchased by Doug and Lori Williams in February of 1983 and has grown from a two employee company to a state-of-the-art, environmentally friendly, recycling center with 14 employees. Eagle Auto is the first and only Certified Auto Recycler in the state of West Virginia, certified by the Auto Recyclers Association. 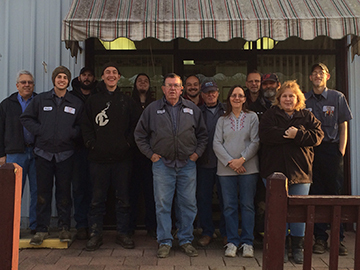 Eagle’s sales staff has over 60 years of combined sales experience so whatever your auto parts needs, let Eagle Auto Parts be your one stop shop.